Water is something that we take for granted; it is easy to access but without it we wouldn’t exist. Water is not only a catalyst for life but is also fundamental for survival; it embodies all that life entails. Water is inspiring; it evokes a feeling of peace and tranquility in some and an awareness of its strength and power in others. It is the focus of rituals and myths across the globe due to its purifying, cleansing and healing properties. Water is a spontaneous, free flowing and vital force that follows its own course; much like the artists featured in this exhibition. 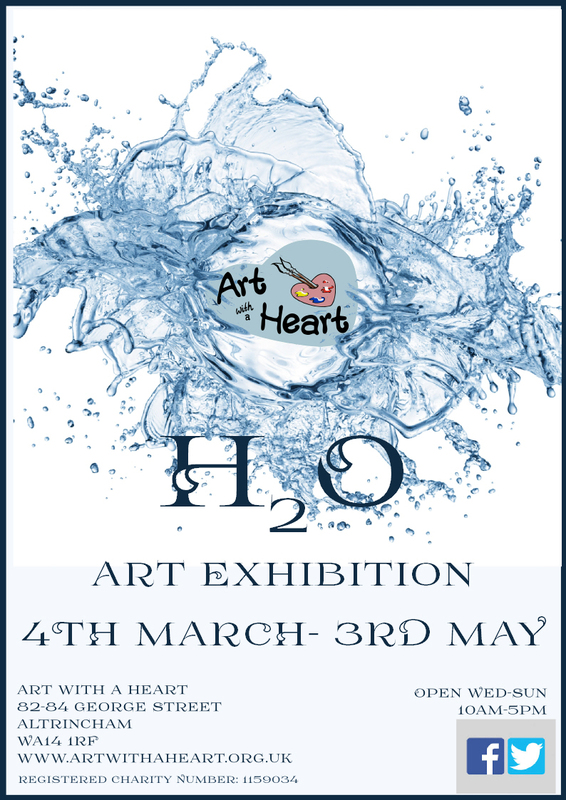 However, whilst we are celebrating the beauty and mystery of this vital recourse, we also seek to raise the awareness of the fact that water is a significant element in the delicate global ecological balance. The issues here include drought and pollution and the fact that there is a distinct lack of fresh, clean water for a large percentage of the world’s population, which is the focus of World Water Day on 22nd March 2015. Artists involved: Adam Bruderer, Anne Turner, Anastasia Russa, Anthony Brown, Agniezska Matyjaszek, Bex Wild, Catherine Phillips, Clare Hirsch, Chris Francis, Emmylou Kelly, Emily Tomasso, Ewa Habdas, Georgina Ferrans, Helen Davies, Ian Cooke Tapia, Jave Yoshimoto, Joan Bradley, John Byde, John Carroll, Kristiina Välke, Lynda Nyland, Madeleine Williamson, Marion kuit, Mary Atherton, Matthew Kay, Sarah Morley, Steve Marsden, Sue Hotchkis, Wendy Wallwork. Alongside the exhibition are a series of interactive activities for all to participate, including our ‘Rain Storm’ thought cloud and our #WaterIs debate and education wall. We are one of the few groups in the UK promoting #WorldWaterDay for @UN-Water and we are encouraging everyone who visits the exhibition to write down what water means to them and post it onto twitter with the #WaterIs and @AWAH_alty.